Combine all ingredients in a large bowl, using your hands to mix it thoroughly. Shape into a loaf and place in a 9-inch by 5-inch loaf pan. Cook for 70 minutes or until cooked through. Hehe, meatloaf seems like a very typical “American” food, at least in my eyes. It’s not something that people seem to eat very much in Europe, although the times I’ve had it it’s been perfectly fine. I agree that it can be a bit of a disaster though if done badly. Grey and crumbly and generally not good. Love the addition of red wine and parmesan (and of course the sun-dried tomatoes… LOVE those) – those are always guaranteed to boost the flavour and texture! I must be in the minority, Stefanie, because I really enjoy meatloaf and absolutely love a meatloaf sandwich the next day. This recipe will be good either way! 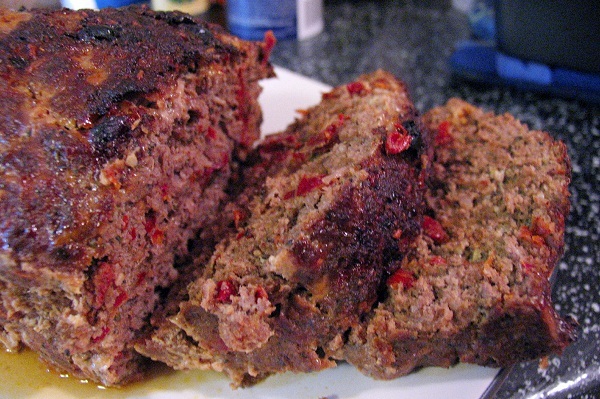 I usually don’t make meatloaf with Italian sausage, but it sounds simply delicious. Great post! Stefanie, every time I see jokes about meatloaf in American films I am wondering why it is considered as such a basic food. 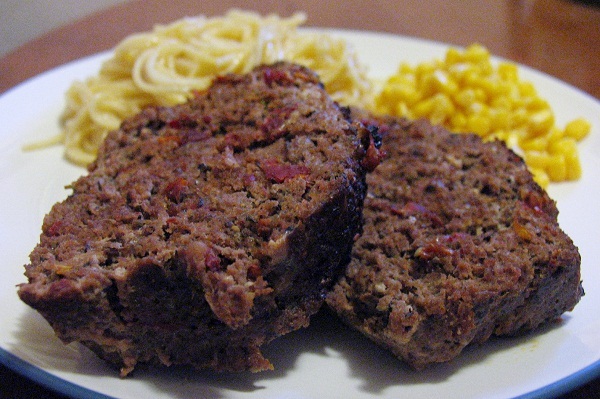 I have never had meatloaf in my life and it looks scrumptious and versatile as a dish. Trying your version sounds like a great idea to start with! (And you confirm once more that leaflet recipes work). I am a meatloaf fan! Love it, and love the sound of this Italian version. Yum!! I think meatloaf gets such a bad rap because most people think of it at plain 50’s or diner food. The fact is one can create just about anything is meatloaf and it’s so delicious! Love the sun dried tomatoes in this recipe.